Richard Dale Jenkins was born on the 4th May 1947, in DeKalb, Illinois, USA and is an actor best known for his roles in the movies “Flirting with Disaster” (1996), “The Visitor” (2007), “Step Brothers” (2008), “The Cabin in the Woods” and “Jack Reacher” both in 2012 as well as in TV series such as “Six Feet Under” and “Olive Kitteridge”. For the latter engagement, Richard was honored with a Primetime Emmy Award. Have you ever wondered how much wealth this veteran actor has accumulated so far? How rich Richard Jenkins is? According to sources, it is estimated that the total size of Richard Jenkins’ net worth, as of early 2017, is over $8 million, acquired through his acting career abundant with credits in almost 100 film and TV series, and which has been active since 1974. Richard was born to homemaker Mary Elizabeth and dentist Dale Stevens Jenkins, and has a bit of Irish, English, Welsh as well as German ancestry. After matriculating from DeKalb High School, Richard enrolled at Illinois Wesleyan University from which he graduated in 1969 with a Bachelor of Fine Arts degree in Theatre Arts. He then transferred to Providence, Rhode Island where he joined the Trinity Repertory Company within which he stayed for the next 15 years, with occasional outings to movies and television. However, his Trinity Repertory Company engagements provided the basis for Richard Jenkins’ now respectable overall net worth. Richard Jenkins debuted as an on-camera actor in 1974, in “Feasting with Panthers”, one episode of the “Great Performances” TV series, and later in another episode, “Brother to Dragons” in 1975. However, he continued his theatre career until he was cast in a support role in Lawrence Kasdan‘s 1985 western movie “Silverado”. Ever since, Richard Jenkins has managed to keep a continuous streak of on-camera acting roles in numerous movies as well as TV series. All these engagements have certainly helped Richard Jenkins to further increase his overall net worth. In the late 1980s Jenkins began to appear in more demanding roles, and got the chance to show his full acting potential. In 1985 he was cast as a DEA agent in one episode of “Miami Vice” TV series and in 1989 he appeared in the Al Pacino-featured crime drama “Sea of Love”. Between 1990 and 1994, Richard served as Trinity Repertory Theater’s artistic director, then in 1996, he secured a notable role in David O. Russell’s comedy “Flirting with Disaster” featuring Ben Stiller in the leading role. Between 2001 and 2005, Richard Jenkins starred as Nathaniel Fisher in HBO’s drama television series “Six Feet Under”. Although his character was killed in the very first episode of the show, he reprised his role as a ghost in another 20 episode through all five seasons. It is certain that the latter role and the whole “Six Feet Under” engagement helped Richard Jenkins to increase his popularity as well as the total size of his wealth by a large margin. 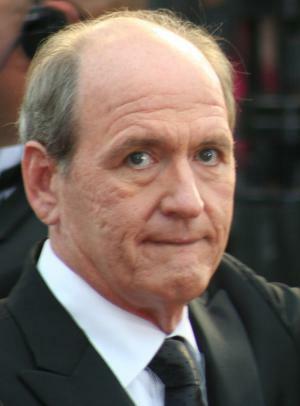 For the main role of Professor Walter Vale in Tim McCarthy’s 2007 drama “The Visitor”, Richard Jenkins was honored with an Academy Award nomination as well as with almost a dozen other prestigious film festival award nominations. In 2008, Richard appeared in two comedies, “Step Brothers” and “Burn After Reading” and for both engagements was rewarded with San Diego Film Critics Society Special Awards. Some other notable roles of Jenkins’ include appearances in Hollywood motion pictures such as “The Core” (2003), “Eat Pray Love” (2010), “The Rum Diary” (2011) and “Killing Them Softly” (2012). For the role of Henry Kitteridge, the father of the title character in 2014 TV mini-series “Olive Kitteridge”, Richard received the Primetime Emmy Award for Outstanding Lead Actor. Doubtlessly, all these roles and achievements have dramatically impacted Richard Jenkins’ overall net worth in a positive way. When it comes to his personal life, Richard Jenkins has been married since 1969 to his college sweetheart, Sharon R. Friedrick with whom he has a son and a daughter. With his family, he currently resides in Cumberland, Rhode Island. Place Of Birth DeKalb, Illinois, U.S.
1 (On his role in the 1985 film Silverado) I auditioned for this really great part, and I remember my manager called me up and said "You got it! You're Kelly." And I said "Who?" "Kelly." I searched through the script, and I was in two scenes. I said "Howdy" in the first scene, and in the second scene, I said "You can't do that," and they shot me. And I was on the set for seven weeks. It was a cover set, which means if they couldn't work outside with it snowing or bad weather, they would move inside and do that scene they were saving for bad weather, so I couldn't go anywhere. I was hanging out in the Hilton Hotel in Santa Fe, New Mexico, and everybody else was working on the movie. 2 I was at a real funeral once, around the time I was doing Six Feet Under, when a woman tapped me on the shoulder and asked "Are they filming this?" It was one of those things where you're thinking "Is she kidding, is she not kidding?" She wasn't. That was jaw-dropping. 3 (On working with the Coens brothers) Well, I audition for them, for every movie. Raising Arizona was the first one. I auditioned for Miller's Crossing, and my agent called me up and said "I've got great news, it's between you and Albert Finney." I said "Oh really, that's great. Who would you choose?" And of course, Albert Finney was wonderful. I wanted Fargo, that's the one I wanted so badly. And when I saw it, and I saw William Macy in the part, I said "Oh, no wonder. He's incredible." But I stopped going in to audition. I'd say "No, they're not going to cast me anyway." And then they called me up and asked me to do The Man Who Wasn't There. And I said "So the only way to get a part in your movie is not to come in and audition?" 4 (On filming Witches of Eastwick) My first really nice part after Silverado. And my first day of shooting, they wouldn't let me on the set, cause they didn't believe I was in it. We were shooting in Massachusetts, and I drove up from my house, and I didn't have any ID on me or anything. I just drove up to the gate, and said "I'm here to shoot the movie." The guy said "Who are you?" I said "I'm an actor," and he said "Yeah, you and everyone else in town." I said "No, no, I'm an actor." And one of the grips or crew guys was walking by, and the guard asked "Hey, do you know who this guy is?" And the guy looked at me and said "Never seen 'em before." Finally I got an assistant to say "Yeah, yeah, he's in the movie." You think it's hard getting into movie sets? It is. 5 (In response to his first starring film role in The Visitor (2007)) I would say 'I'll go back to my trailer now', and they'd say, 'No, no, you're in the next scene. It's one of those things that I didn't know if I would ever get an opportunity to try. I've been waiting my entire professional life for this experience. 1 Shares the same birth name as Richard Burton. 2 He has Welsh, English, Irish, and German ancestry. 3 He worked as a summer truck driver for the father of actor John C. Reilly in Illinois. Jenkins coincidentally met Reilly when the latter was four years old. The two later worked together in Step Brothers (2008). 4 Was considered for the role of Dr.David Morgenstern on ER (1994). 5 He attended school with Larry Shue and worked with James Pickering, according to an interview of February 20, 2009. Pickering acted as the Nerd in Shue's famous play, "The Nerd," adapted as "Laus im Pelz (1987)". 6 He has two grown-up children, Sarah Pamela and Andrew Dale, from his long-time marriage to wife Sharon. 7 One of several Rhode Island residents who have made films for the Farrelly Brothers. In four of their pictures, Richard even bought a house down the street from the brothers' childhood home in Cumberland, Rhode Island. 8 Parents: Dale Stevens and M. Elizabeth Wheeler Jenkins. 9 A member of the Trinity Repertory Company in Rhode Island for fifteen years, he appeared in such 1970s and 1980s Trinity Repertory productions as "Brother to Dragons," "Of Mice and Men," "True West," "American Buffalo" and "Waiting for Godot"; directed such later productions as "Tartuffe," "The Glass Menagerie", "The Miser" and Shekspeare's "Macbeth" and "Twelfth Night"; and was the company's artistic director for four years. 10 Has a son and daughter with wife, Sharon. 11 Studied theater at Illinois Wesleyan University. 12 Served as an artistic director of Rhode Island's Trinity Repertory Theater. 13 Frequently works with the Farrelly Brothers and the Coen Brothers.